There are different extra-curricular activities for every university in the world. The Philippines is no exception, the researcher observes that universities such as De La Salle University (DLSU), Ateneo de Manila University (ADMU), and University of the Philippines (UP) have their own extra-curricular activities that students actively take part in. In the University of Asia and the Pacific (UA&P) there exist multiple extra-curricular activities a student can take part in such as, the Media Management Committee (MMC), Dulaang Roc, Viare, Communitas, Bosun (the school publication), and many more to mention. 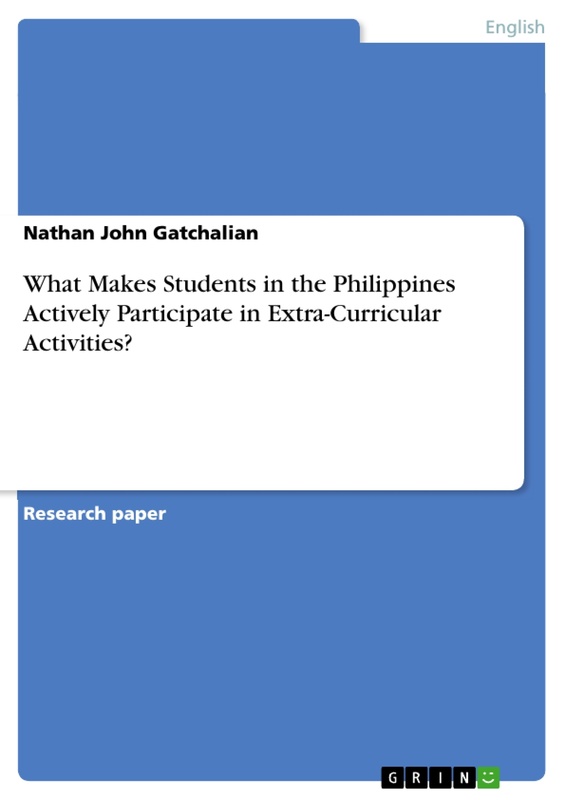 The researcher has observed that despite the myriad of extra-curricular activities a student can take part in; there are students who become active and eventually become inactive in participating. Since extra-curricular activities have different benefits (Holloway, 2000), the researcher observes that being active is good because students can take advantage of the benefits offered. Moreover, because of these benefits the researcher finds it questionable to investigate further if simply having fun is the most influencing factor for active participation. 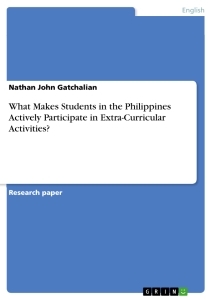 Therefore, it has led to the researcher to further probe what other factors influence active participation in extra-curricular activities of select university students in UA&P. Active is defined as, “[being] marked by present operation, transaction, movement, or use,” and participation as, “[the act] of participating to take part in an activity or event with others” (Merriam-Webster, 2015). Thus, Active Participation is defined as presently participating with others in an activity of a club, varsity, or organization in general. According to The Department of Treasury Internal Revenue Service (2013) active participation is characterized by: (1) decision making involving the operation or management of an activity, and (2) performing services for the activity. (b) degree of personal mental and physical effort exerted in the process of learning. The researcher himself has observed that active participation in the university life is not limited to the realms of academic units such as Biology, Mathematics, and History to name a few. Moreover, active participation is also manifested in extra-curricular activities such as clubs, varsity teams, and organizations. In an interview with Briones (2015) he states that, “An active participant is someone who finds time, devotes, and commits to extra-curricular activities.” He further adds that, involvement with extra-curricular activities has taught him to be committed, involved, accountable, responsible, and have a vision to both inspire and empower people. Aside from that he had also discovered skills such as speaking in public, event organization and management, and team building facilitation. Namuco (2015) contradicts that active participation exists not only in being physically present but also by living the ideals and advocacy of an extra-curricular organization. Moreover, she points out that inactive participation is unhealthy because a person is hindering their selves from doing something they are passionate about. 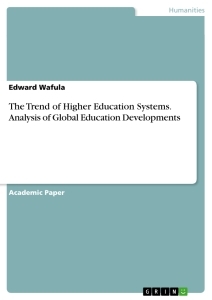 In addition, in this current generation there is a need for more doers rather than those dawdle waiting for something to take place (Namuco, 2015). Co-curricular according to Merriam-Webster (2014) is usually complementing the regular curricular despite being an outside activity, and activities as something that is done for pleasure or a particular purpose and that usually involves a group of people. Cocurricular activities defined are activities involving a group of people that complement the regular curriculum despite existing outside them. The researcher himself has observed co-curricular activities are characterized by the following: (1) being more prevalent in university life, (2) activities that take place within the school day are co-curricular—thus complementing the regular curriculum. Moreover, co-curricular activities are activities that occur during class hours in a university, for instance the Merchandising Committee (MerchComm) in University of Asia and the Pacific (UA&P) always organizes their merchandise selling from the morning until the afternoon on a school day—during class hours. It complements the curriculum in a way that practical skills such as public speaking, time management, and accountability are developed that can be used in academic units—specifically major units (majors). The researcher also observes the prevalence of co-curricular activities in the form of being a class-representative for their college block. For instance, in UA&P’s School of Communications (SCM) exists the professional organization called Communitas, wherein Communitas assigns block representatives per college block for specializations under SCM such as Integrated Marketing Communications (IMC) and Media Entertainment and Management (MEM). This instance itself is already a co-curricular activity since it complements the block representative’s regular curriculum in the form of representing the block and acting as a liaison for the block and Communitas vice-versa. Thus, living out the ideals of being a representative for the benefit of the block. The effectiveness of co-curricular activities according to Moreno (2014) lies in the application of what is learned since co-curricular activities complement the curriculum, it is complemented in such a way that public speaking, time management, and accountability are used not only for academic units but also personal development as well. Merriam-Webster (2014) defines extra-curricular as: “extra activities that can be done by students in a school but are not part of the regular class curriculum.” and activities as: “something that is done for pleasure or a particular purpose and that usually involves a group of people.” Therefore, extra-curricular activities are extra activities done by a group of students in school either for pleasure or a particular purpose outside the regular class curriculum. The types of extra-curricular activities include: (1) sports, (2) jobs—working before and after class hours, and (3) anything that a student does not to get a grade or graduate (Wierschem, n.d). 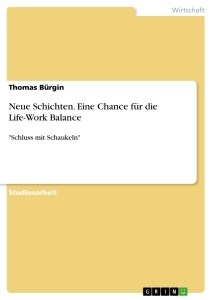 Sports that involve training before and after class hours are considered extra-curricular activities because it is done by a student not for a grade or graduation requirement, but for a particular purpose such as becoming better or just to have fun—the same concept applies to the latter that of jobs but have different purposes as well (Wierschem, n.d). Brown (n.d) explains that extra-curricular activities fulfill two (2) basic conditions: (1) they are not part of regular school curricular program; and (2) there is a structure towards a pro-social mission or goal. Furthermore, an extra-curricular activity becomes effective when: (1) students have the opportunity to cultivate relationships with adults and pro-social peers; (2) the activity has goals that encourage the students to achieve great things; (3) students are given the opportunities to be leaders by having a committee to organize an activity; (4) the extra-curricular activity is age appropriate— activities which are not too arduous; and most importantly (5) the activity is enjoyable for the students (Brown, n.d). Being a student is difficult because a student is in school for an average of 8-9 hours day, maintaining good grades is challenging task as it leaves little time for other activities to be pursued (Career India, 2014). Extra-curricular activities only become effective when: (1) they are differentiated—a difference between commitments in academic and extra-curricular activities is made; (2) what is more urgent and important is prioritized; (3) activities are properly scheduled so as not to impede regular academic tasks; and (4) things are questioned—whether or not the student can handle it or accomplish the activity together with regular academic tasks (Career India, 2014). Holloway (2000) also states that, “clubs, teams, and organizations support the academic mission of a school” because Gerber (1996) found that participation in extracurricular activities promoted greater academic achievement because school-related activities were more strongly associated with achievement compared to outside-school activities. Moreover, when students are not given enough opportunities to participate in extra-curricular activities they eliminate the connection to creating a sense of belongingness towards the school (Gerber, 1996). Thus the extra-curricular activities are effective as they promote greater academic achievement and enable students to connect with the sense of belongingness towards their school. Extra-curricular activities are essential because they develop: (1) hobbies and interests, (2) skills in working in groups, and (3) participation in athletics that lead to the discovery and cultivation of talents (Lunenburg, 2010). Fretwell (1931) believes that: “extra-curricular activities stem from co-curricular activities but come back to enrich them more.” This is because as extra-curricular activities are products of co-curricular activities that is an evidence of growth—extra activities being an addition to what is already complementing the regular curriculum. For instance, varsity teams came after the development of a physical education program. Thus, he argues that there is no valid excuse for being unable to enrich a physical education program through the assistance of varsity teams as an example. A article published by Eccles and Barber (1999) in the Journal of Adolescent Research argued that: “constructive, organized activities make better use of the adolescents’ time because: (a) good use of time lessens the opportunity to get involved in risky activities; (b) engagement in constructive activities can provide opportunities to learn good things—competencies and pro-social values and attitudes; and (c) there is a greater possibility of creating positive social supports and networks.” Moreover, constructive activities provide an avenue in which a person can express their identity or passion in performing arts, sports, and leadership activities. This is because constructive activities provide the opportunities: (1) to practice and form concrete social, physical, and intellectual skills that can be used in a wide range of settings; (2) contribute to the betterment of a community and cultivate a sense of agency as a community member; (3) to belong to a socially valued and recognized group; (4) to create supportive social networks of both peers and adults; and (5) to experience and handle challenges. The types of involvement include: pro-social (church and volunteer activities), team sports, school involvement (student council, literature clubs), performing arts (drama, marching band), and academic clubs (science club, foreign language club) (Eccles & Barber, 1999). Active is defined as the present operation, and participation as the act of participating to take part in an activity with others (Merriam-Webster, 2015). Active participation is the foundation of college success because this is where other collegesuccess strategies are established and enables the maximization of success because students need to be active in the learning process (Cuseo, 2010). An active participant is someone who finds time, devotes, and commits to extracurricular activities (Briones, Active Participation from the perspective of an Active Participant in Organizations, 2015). Active participation does not only exist in being physically present, but by also living the ideals and advocacies of an extra-curricular organization (Namuco, 2015). Co-curricular is an outside activity that usually complements the regular curriculum, and activities defined as something done for pleasure or purpose that usually involves a group (Merriam-Webster, 2015). Co-curricular Activities are therefore defined as activities involving a group that exist outside the regular curriculum but complement them. (1) being more prevalent in university life, and (2) activities that take place within the school day count as a co-curricular activity. These include being a class representative for a college block. Extra-curricular is defined as extra activities done by students in a school but not part of the regular class curriculum, and activities defined as something done for pleasure or purpose that usually involves a group (Merriam-Webster, 2015). Extra-curricular Activities are extra activities done by a group of students in school for pleasure or a particular purpose outside the regular class curriculum. The types of extra-curricular activities include: (1) sports, (2) jobs—working before and after class hours, and (3) anything done by a student not for a grade or graduation requirement (Wierschem, n.d). 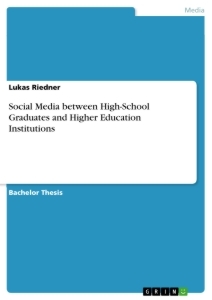 Extra-curricular activities fulfill two (2) basic conditions: (1) they are not part of regular school curriculum; and there is a structure for a pro-social mission or goal (Brown, n.d). Extra-curricular activities are effective when: (1) students have the chance to cultivate relationships with adults and pro-social peers; (2) the activity has goals that encourage students to achieve great things; (3) students have the opportunity to be leaders or being in-charge of a committee; (4) the activity is age-appropriate; and most importantly (5) the activity is enjoyable for the student. Participation in extra-curricular activities promotes greater academic achievement because school-related activities are more strongly associated with achievement (Gerber, 1996). Extra-curricular activities are essential because they develop: (1) hobbies and interests, (2) skills in working in groups, (3) participation in athletics that lead to the discovery and cultivation of talents (Lunenburg, 2010). This paper has received a grade of 1.0 for its analysis on the subject matter.